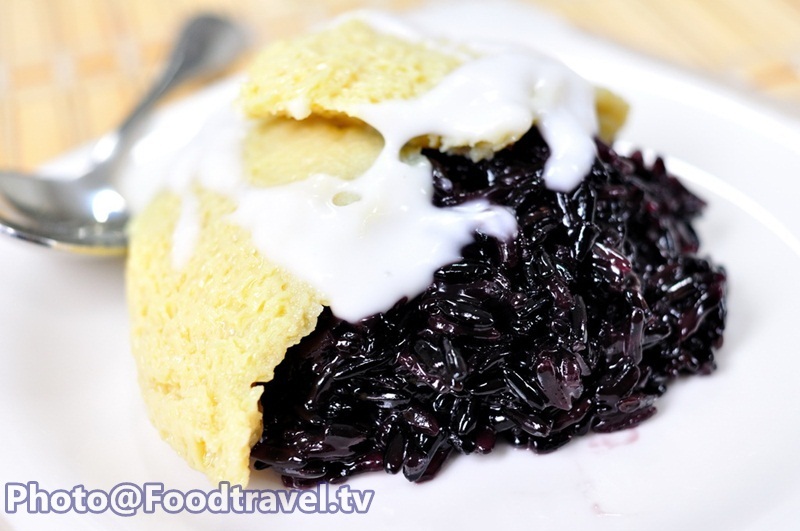 Black Sticky Rice with Thai Custard (Kao Nieaw Dum Sang Ka Ya) - Black Sticky Rice with Thai Custard is a delicious dessert. 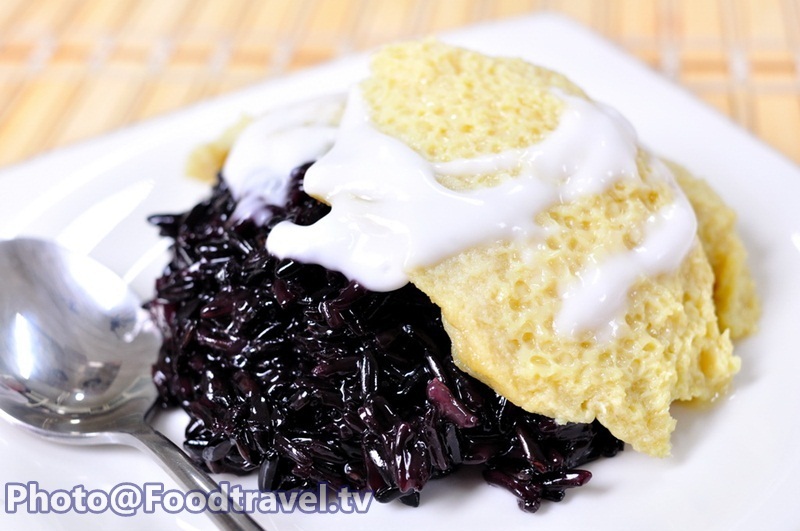 With black sticky rice that give a different taste from white sticky rice. It’s chewier and some people say that it has much more nutrients. Just eat together with sweet custard and topped with coconut milk. 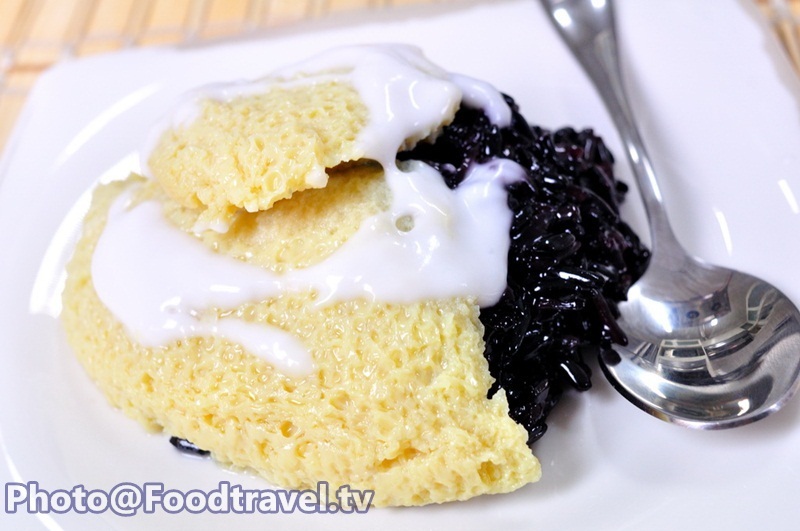 Black Sticky Rice with Thai Custard is definitely your favorite dessert. 5. Coconut milk 300 ml. 5. Coconut milk 150 ml. 1. Soak Kao Nieow Kieow Ngo with black glutinous rice and in water for 3 hour. 2. Drain soaked water out. Steam the sticky rice in boiling water for 1 hour. 3. While steamed the sticky rice, make the egg custard by put egg into a mixing bowl. Then put salt, palm sugar, coconut milk, shred Pandan leave into 3-4 pieces. Using your hand mix ingredients together until palm sugar dissolves completely. Sift in a sieve, steam for 30 minutes over low heat. Remove out and set aside to cool. 4. When full 50 minutes, put the coconut milk, sugar, salt, and Pandan leaves to boil in a pot on low heat. When begins to boil slightly, pour in a steamed sticky rice that already cooked. Stir to combine. Close the lid and bake for 10 minutes. 5. Stir the sticky rice again together with coconut milk. Close the lid and bake another 10 minutes left. 6. Serve by put stick rice on the plate. 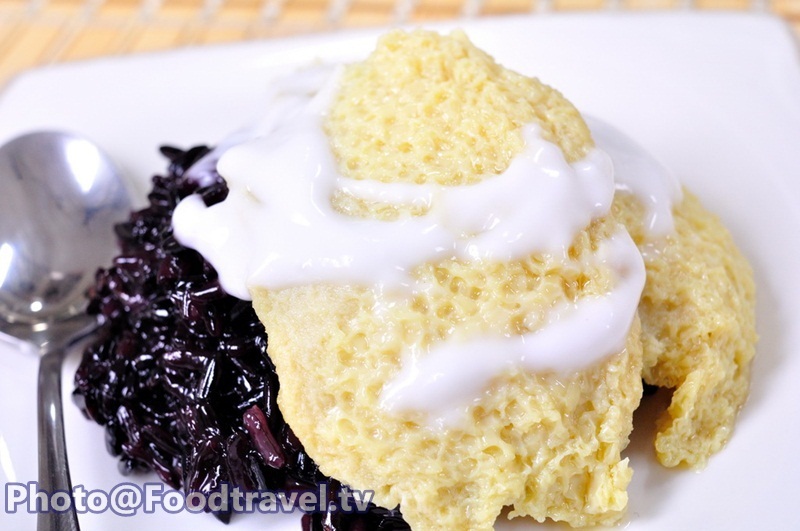 Slice off the custard and place on sticky rice. Topped with coconut milk and finish.